Whether you’re in search of a great family day out, a birdwatching haven, or trip back in time, the beaches along the Suffolk Coast will provide you with a memorable day out. The beaches at Lowestoft, Kessingland, Southwold, Walberswick, Aldeburgh, Thorpeness and Felixstowe all remind you why it’s so great to spend time by the sea. A real tonic to beat the hustle and bustle of everyday life! 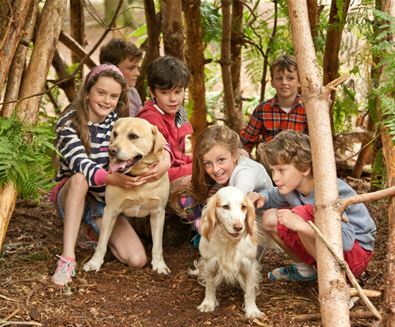 Whether it's a traditional Victorian park, a fort in the middle of a forest, or a zip wire along the river, the outdoor play areas on The Suffolk Coast are the perfect place for kids to let off steam and enjoy the great outdoors. Rendlesham Forest, near Woodbridge, combines traffic-free walking and cycling with enormous wooden outdoor play structures and you can easily spend several hours in this magical forest with its spooky UFO trail. When you arrive in the car park you will see a small playground which is great for younger children; however the really exciting activities are hidden just a short walk away in the woods. Spread out among the trees is a zip wire, swings, climbing walls and a giant wooden aircraft that will entertain toddlers through to teenagers. Martello Park in Felixstowe is a great place to spend an hour or two. This grassy park offers play, picnic and wildlife areas, whilst Nicholas Everitt Park in Oulton Broad is open all year round, sitting comfortably alongside the Broads National Park. 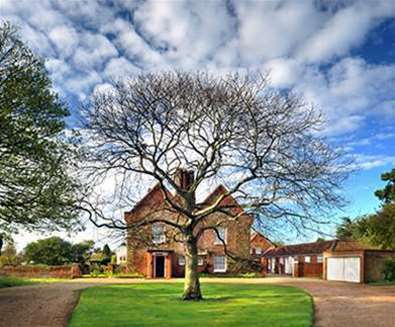 The traditional park hosts a tea room, Lowestoft Museum, bowling, tennis, trampolines and children's play area. The Landguard Peninsula is located at the southern point of Felixstowe. Take time to explore the rich military and maritime heritage of Landguard Fort. 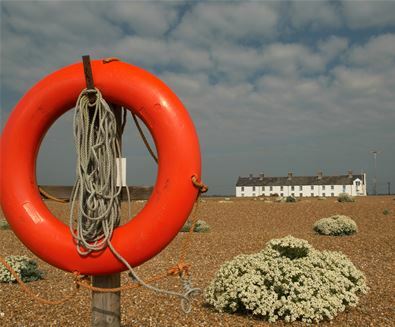 It's one of England's best-preserved coastal defences and has a history spanning almost 450 years, children will love seeing history come to life with the audio-tour and one of the many events run throughout the year (there is an admission charge for the Fort and neighbouring Felixstowe Museum but the Nature Reserve is a free wide open space). 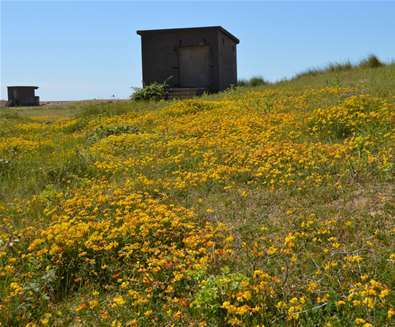 Whilst there head to the shingle habitat of the Landguard Nature Reserve which surrounds the Fort. It's a fascinating blend of rare plants, migrating birds and military history and the perfect place to let the little ones run off steam. 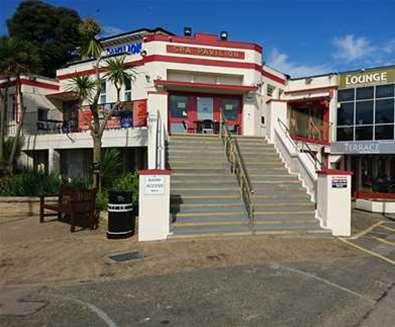 For a bite to eat, head to the Landguard Visitor Centre and View Point Cafe; a warm and friendly building with fun hands-on displays, videos and exhibits on the attractions of the Peninsula, public toilets and a 60 seater cafe serving all day breakfasts, snacks, fresh fish and chips and ice cream. 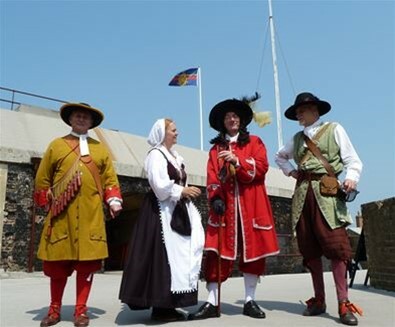 With a range of special events and activities throughout the year, Landguard offers a great day out for all ages and interests. 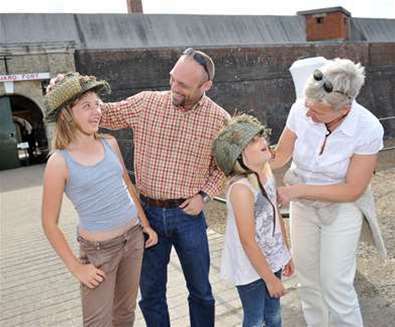 Admission charges apply to the Fort and Museum but the Nature Reserve is free to explore! 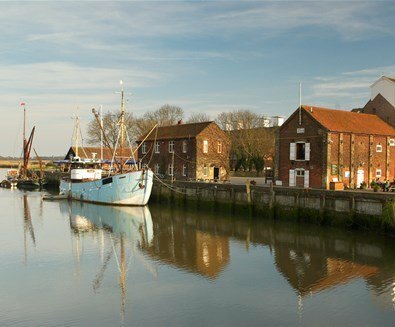 There are more than 50 museums in Suffolk, each one packed with fascinating stories and objects. Suffolk’s many small museums are also full of surprises; housed in some exciting places too. In castles and cottages; in moot halls and on wartime airfields; in a Victorian engineering works and at a railway station. 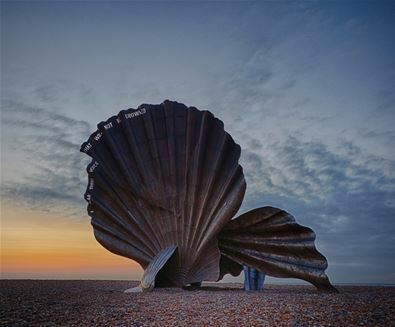 From prehistoric discoveries to amazing archaeological finds; from Saxon burials to fishing and farming in the age of steam; from the drowning of Medieval Dunwich to the development of Radar. 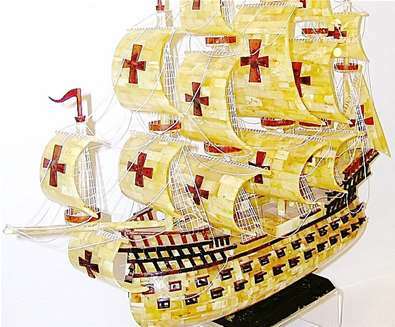 There’s buses, bones and lifeboats; medals, models and manuscripts; art, axes and aircraft; wool-work, witch-bottles and wooden toys; something for every member of the family to enjoy. 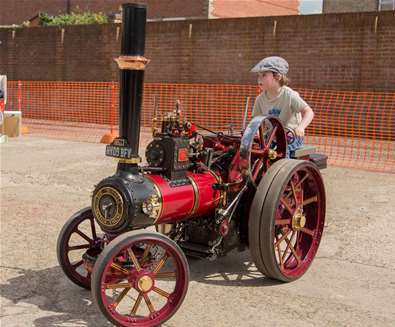 The majority of Suffolk’s smaller museums are run entirely by volunteers and all of these museums rely on donations from visitors to support the great work they do preserving Suffolk’s heritage. 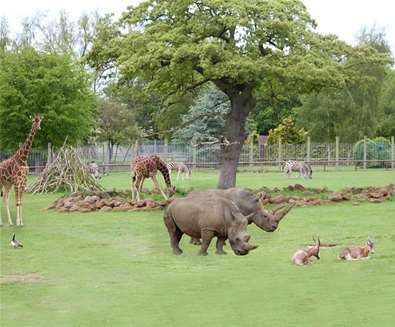 There really is something for visitors of all ages – and they’re not all indoors. 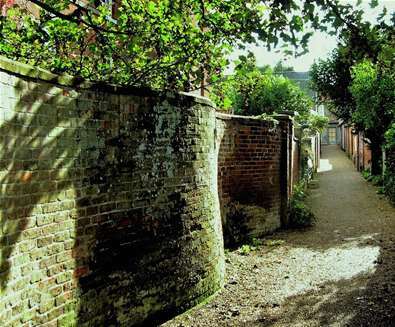 So, come rain or shine, there’s a Suffolk museum waiting to be explored. Opening hours vary and it is always advisable to check individual websites for details when planning a visit. 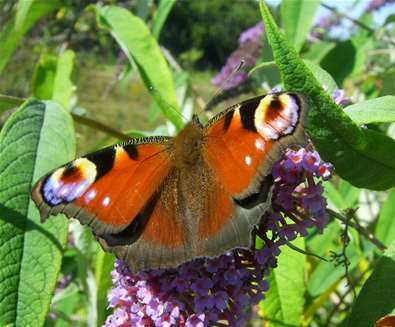 The Suffolk Wildlife Trust has nature reserves all the way along the Suffolk Coast, from Trimley Marshes at Felixstowe to Gunton Meadow at Lowestoft; some of Suffolk's most inspiring wild places. With flower-studded marshes, pools teeming with water life and the shimmer of dragonflies during summer, Carlton & Oulton Marshes is the Suffolk Broads at their best. For sheer excitement and awe, birds of prey are hard to beat and marsh harrier, barn owl and hobby are all at home in the skies above. 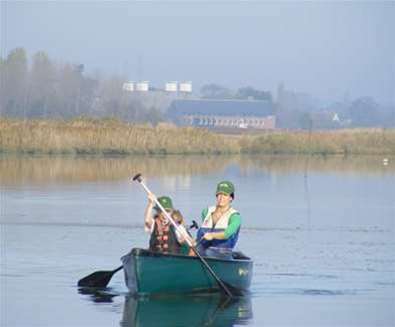 There's a range of children's and family activities on offer throughout the year, including pond dipping, painting and birdbox building plus many more. It’s a wildlife oasis on the edge of Lowestoft. Hen Reedbeds, near Southwold, is a blend of reedbeds, fens, dykes and pools created in 1999 to provide new breeding habitat for bittern and other wildlife. Bromeswell Green, near Woodbridge, is noted for its wet meadows, saltmarsh and woodland. Wetland plants such as southern marsh orchid, lesser spearwort and fen bedstraw make a wonderful display in the damper areas, while climbing corydalis is more typical of the drier parts. Common lizard can be seen basking on warm sunny days. 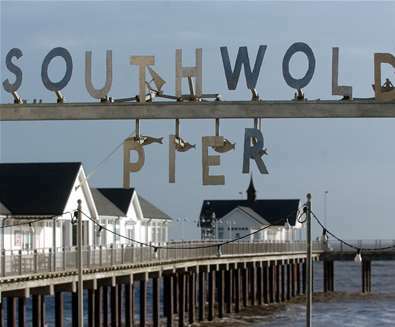 Southwold is a popular destination for the many visitors to The Suffolk Coast and its most prominent attraction, the pier, hosts a wide range of things to see and do. The innovative water clock was designed by Tim Hunkin and its cheeky design is sure to entertain on the hour. As well as this there are cafés, restaurants, shops and an arcade, certainly enough to keep the whole family busy for the whole day. Tim Hunkin’s intriguing underwater shows are viewed via the quantum-tunnelling periscope at the end of the pier; a fascinating insight into the mix of old and new which make up the pier’s attractions. 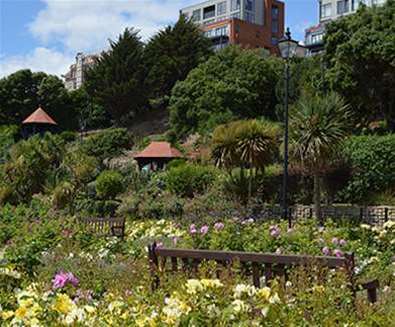 Step back in time with a visit to the newly regenerated Seafront Gardens. 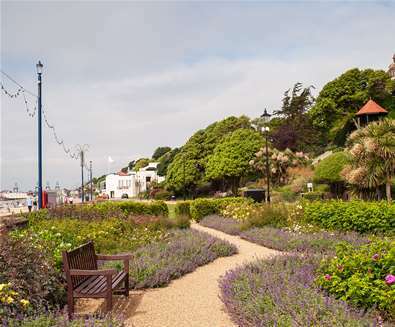 Demonstrating the original 1920s design, the Seafront Gardens at Felixstowe have been acknowledged as a Grade II Registered Garden of Special Historical Interest by English Heritage. The gardens were regenerated in 2015 and now feature a series of interconnected gardens, defined spaces, stone and water features together with ornamental planting which impart an impression of historic character, municipal quality and a great diversity of visual interest. 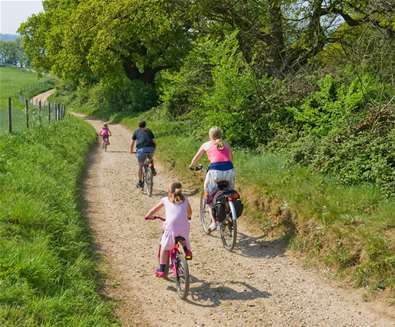 The Suffolk Coast is ideal for family cycling trips, and we've a route to suit all! A range of guides and routes are on offer including Explorer Guides, Town Route Maps and themed and leisure cycle routes, and if you're visiting on holiday, bicycles are available for hire too (check out Southwold Cycle Hire). A full list of cycle routes and maps available for download are available on our Cycling Guide. Most of the Suffolk Coast sits in The Suffolk Coast & Heaths Area of Outstanding Natural Beauty (AONB), a stunning landscape packed with wildlife and exciting places to explore and discover. 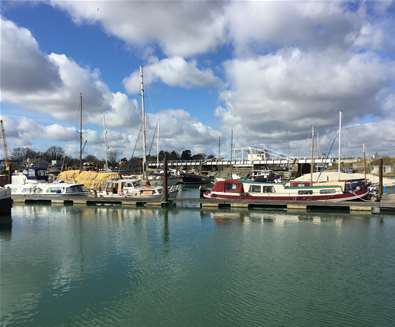 With 155 square miles of tranquil and unspoilt landscape including wildlife-rich estuaries, ancient heaths, windswept shingle beaches and historic towns and villages - you just know there’ll be something for everyone! If you love nothing more than a long walk beside the sea, a brisk stroll before lunch, cycling along quiet lanes, sailing iconic estuaries, or spending hours quietly watching some of the UK's rarest wildlife, the beautiful landscape of the Suffolk Coast & Heaths Area of Outstanding Natural Beauty has it all. Walk in the footsteps of the seafarers who traveled from the Suffolk coast to the village of Snape by following the Sailor’s Path, or enjoy two beautiful walks discovering the beauty of Sutton Heath. Alternatively, explore the coastal village of Kessingland with three delightful walks. 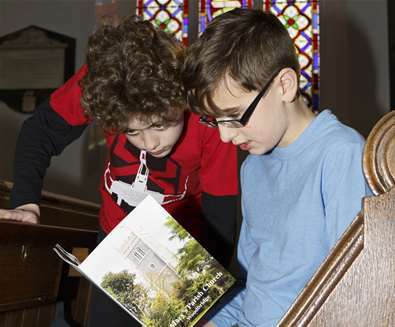 With everything from story readings, quizzes, author talks and crafts; there is a wide range of events on offer at libraries throughout The Suffolk Coast. 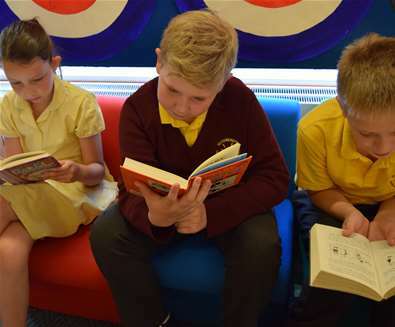 Suffolk Libraries are located in Lowestoft, Oulton Broad, Beccles, Bungay, Halesworth, Framlingham, Woodbridge, Felixstowe and Ipswich. 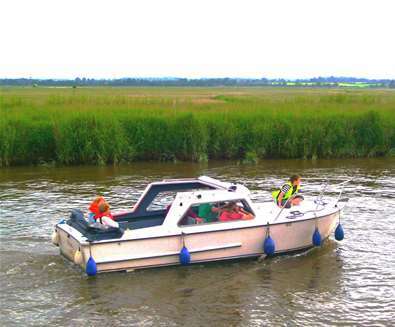 Self drive boat hire by the hour or day, spend time afloat in the newly created Broads National park here in Suffolk. 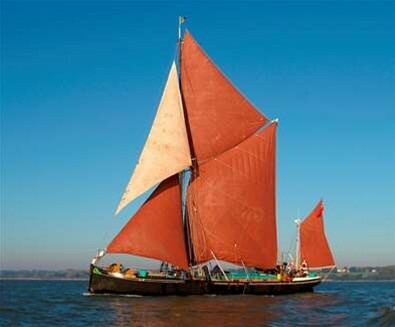 Sailing Barge Victor is a perfect marriage of a majestic and traditionally rigged 19th century sailing vessel with comfortable, modern facilities for guests. Whether you’re in search of a great family day out, a birdwatching haven, or trip back in time, the beaches along the Suffolk Coast will provide you with a memorable day out whatever the time of year. In the winter, Suffolk's beaches take on a whole new persona; with windswept dunes, crashing waves, and bracing winds, they are the perfect place to blow away the cobwebs, stroll hand in hand with your loved one, or enjoy a solitary dog walk. 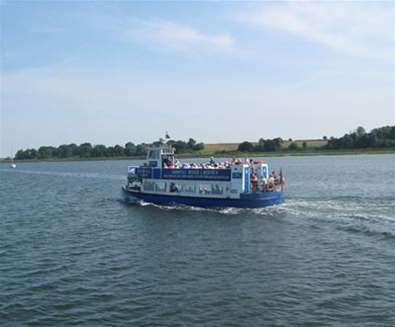 From April to October each year, Orwell Lady cruises up and down the beautiful and historic River Orwell, offering passengers a choice of trips and experiences whilst taking in the beautiful wooded stretches of the river, local wildlife and points of local and historical interest. Make your day out an adventure with a visit to Africa Alive! The Landguard Peninsula is located at the southerly most point of the town of Felixstowe. Aldeburgh has changed in many ways over the last hundred years, but one business has been an ever present in the town. Iken Canoe is a small and friendly canoe, kayak and stand up paddleboard hire centre based on the stunning upper reaches of the Alde estuary between Snape and Aldeburgh, close to the Suffolk coast. 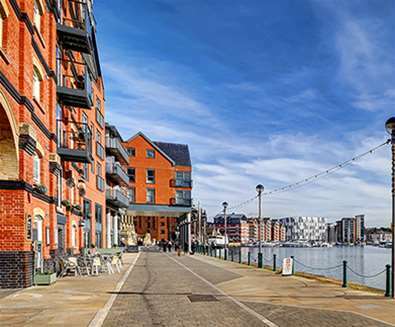 Championing Ipswich as a great place to visit and stay. 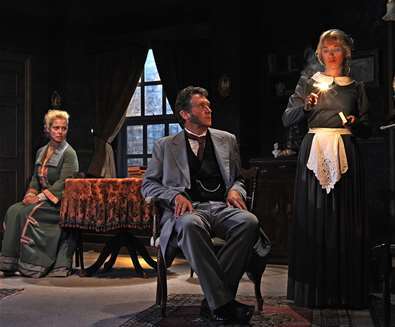 Promoting local events, places of interests, arts, theatre and culture of the historic town. 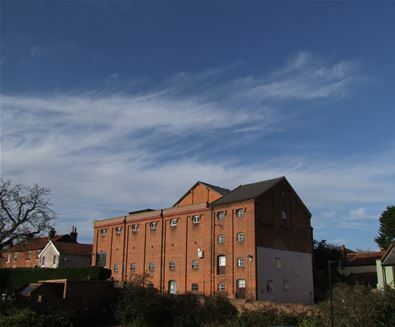 The Cut Arts Centre offers Halesworth and the surrounding countryside an extensive range of arts, music, theatre, dance, comedy, cinema, workshops and art exhibitions. 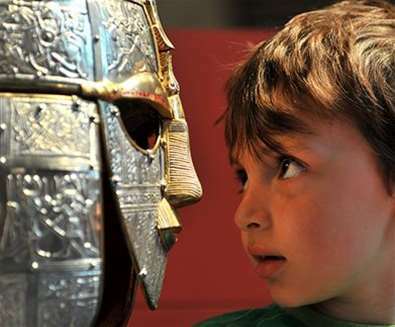 National Trust Sutton Hoo will be gradually revealing the new Sutton Hoo experience this year as they complete a multi-million pound project. 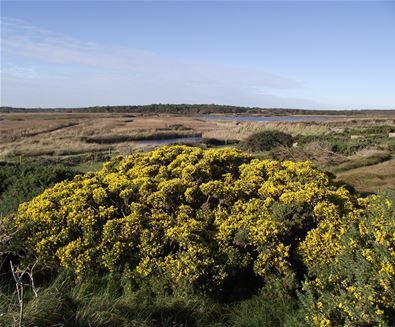 From tiny meadows to rolling heaths, the nature reserves extend all the way along the Suffolk Coast from Trimley Marshes at Felixstowe to Lound Lakes north of Lowestoft and are some of Suffolk's most inspiring wild places. 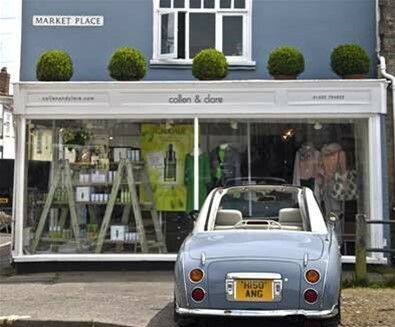 The beautiful multi-brand stores in Southwold and Burnham Market offer Womenswear, Menswear, Beauty, Lingerie and Accessories and there is also a contemporary Womenswear and Accessories store in Aldeburgh. 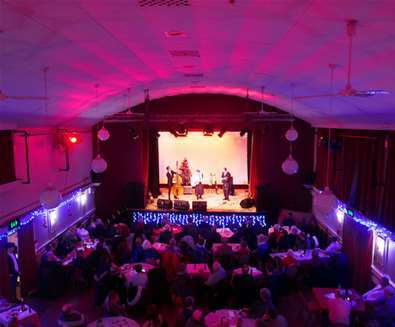 The premier entertainment venue in the popular Suffolk coastal town of Southwold; presenting a year-round programme of events including music, theatre, film, comedy, craft and antique fairs, art exhibitions, workshops, community events and outdoor events. 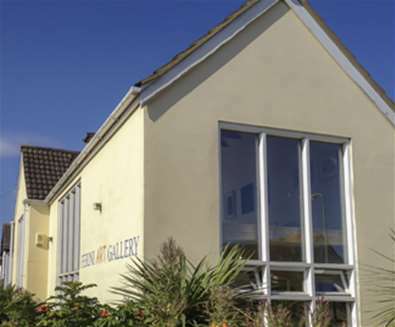 Southwold Arts Centre also offers a number of spaces for hire; suitable for live events, meetings, family celebrations and exhibition space. 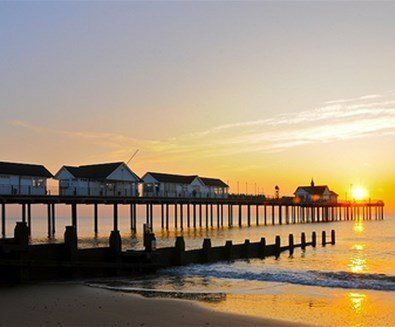 Southwold is a popular destination for the many visitors to the East Coast and its most prominent attraction, the pier, hosts a wide range of things to see and do. 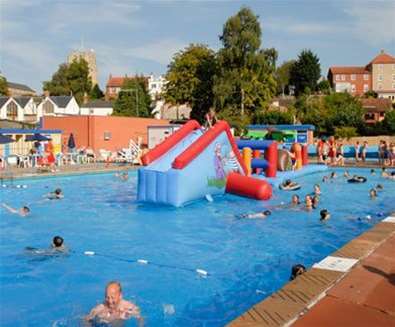 Come down to Beccles in the Summer Holidays and enjoy the amazing views and facilities of the Lido. Discover the rich military and maritime heritage of Landguard Fort, one of England's best preserved coastal defences, with a history spanning almost 450 years. 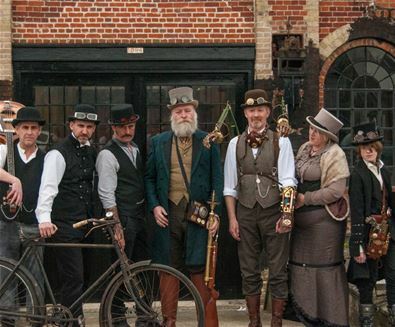 Located at the heart of the original Richard Garrett and Sons Town Works, The Long Shop museum tells an inspiring story of enterprise and endeavor through its stunning collections, hands-on displays and the remarkable family behind the factory. 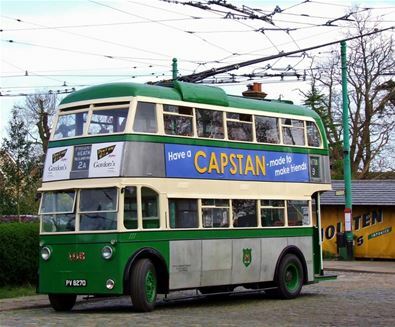 The only museum in East Anglia where you can ride on working trams, trolley buses and narrow gauge railway! 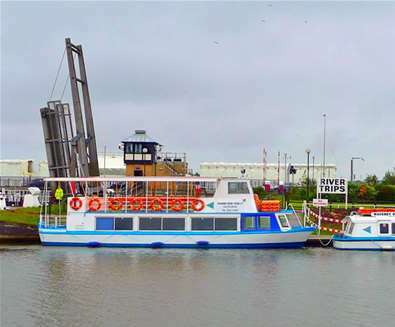 Conducted river tours and boat hire through the Waveney Valley and the New Broads National Park. 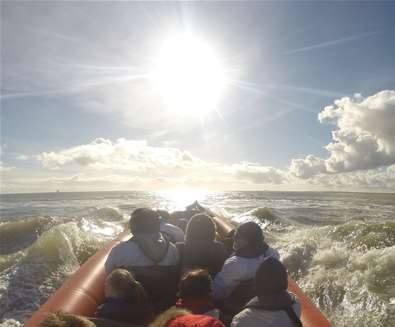 Join the 'Oystercatcher' for a 30 minute river trip. Departing from The Quay, Waldringfield. Unlike a larger town there aren’t any major roads in Southwold, meaning it’s a far safer environment for anyone on two wheels. 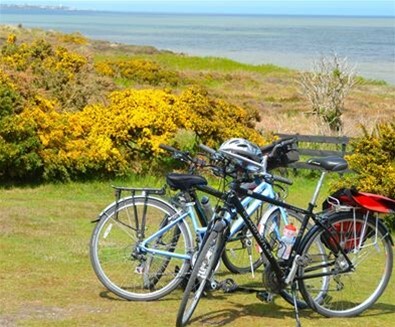 Plus it only takes a few minutes pedaling in any direction before you are taking in scenic views, whether it’s a breathtaking coastal panorama or Suffolk’s rural landscape. Lady Florence River Cruise Restaurant provides a unique and exciting dining experience offering breakfast and a la carte lunch, supper and dinner cruises from Orford Quay, Orford, Suffolk. A small museum in the seaside town of Southwold purpose built to explain the origin of amber, its history and its uses throughout the years. Benjamin Britten was one of the greatest composers of the twentieth century. He wrote a vast amount of incredible music and wanted everyone to enjoy it – professional and amateur musicians, music enthusiasts, children and families. 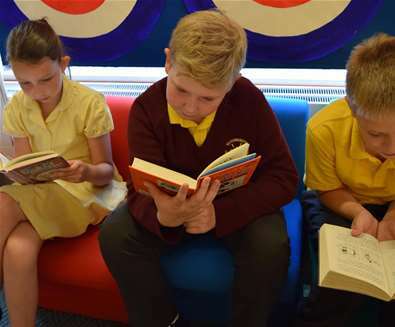 All of the county's 44 libraries provide a wide range of services including traditional library loans (books, DVDs etc) access to the internet and a range of information materials, free Wi-Fi and activities for people of all ages throughout the year. A glorious seafront theatre and restaurant complex, with stunning views, an art deco auditorium for up to 900 people and a fabulous British Seaside and Mediterranean-style fish, meat, pizza, pasta & grill menu. Supported, gentle cycling & walking holidays along the Suffolk Coast as well as in Constable Country, the Wool Towns and Norfolk plus quality bike hire too! 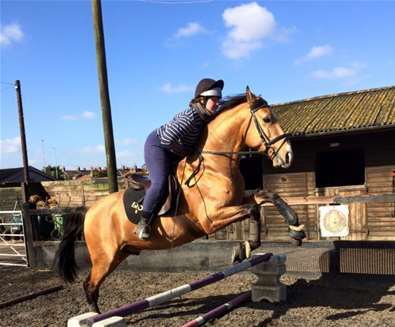 One of the oldest and best-known horse riding centres and stables in East Anglia. 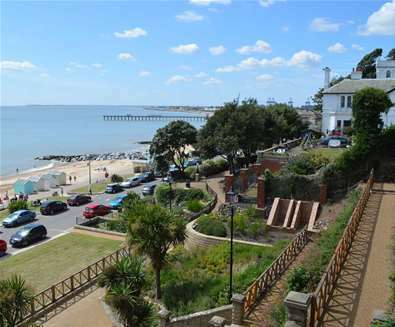 The recently restored Felixstowe Seafront Gardens sit on cliffs between the town centre and beach. 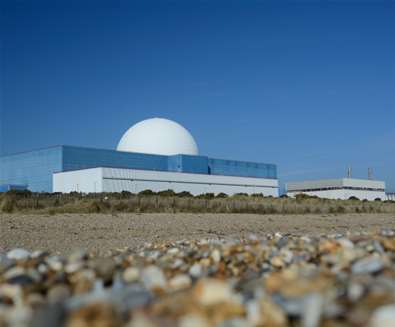 Sizewell B is the UK’s only Pressurised Water Reactor (PWR) and also the most modern nuclear power station in the UK. The visitor centre offers a unique insight into this technology in an interactive exhibition, there is also a classroom facility and the opportunity to pre book a tour of the power station. 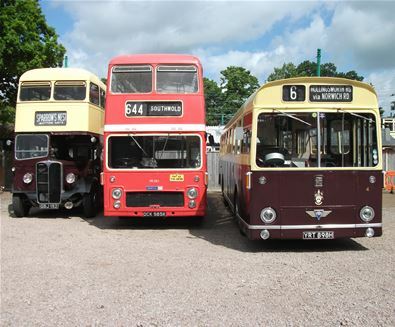 There are more than 50 museums in Suffolk. Each one is unique, and they are all packed with fascinating stories and objects. 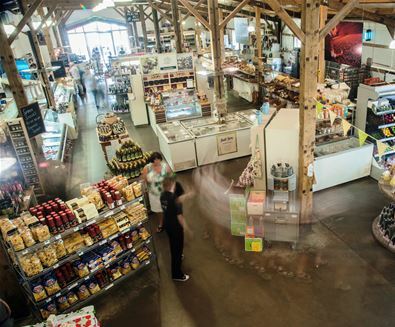 Suffolk Food Hall has everything you’d expect from a large farm shop and more. It is the 10 year Champion of Champions for Local Food (Countryside Alliance rural oscars) and it’s also an ideal location to the Suffolk Coast & Heaths Area of Outstanding Natural Beauty. There is a restaurant (booking advisable) which has been judged to be the Best On Farm Restaurant in Britain and separate café with a children’s playarea. The Ferini Art Gallery is set before the beautiful and ever-changing skies an seascapes of Pakefield. It's art mirrors the light and vibrance of the coastline, fishing beach and sandy cliffs. 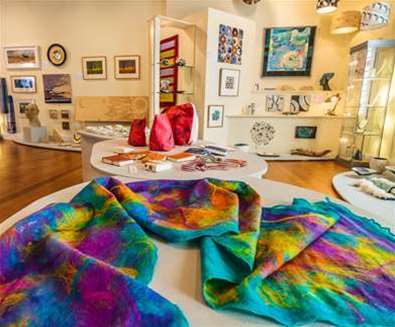 The Suffolk Craft Society was formed in 1970 to promote the value and importance of contemporary crafts and currently supports around 110 individual craftspeople in the creation of their work across a wide range of craft skills. 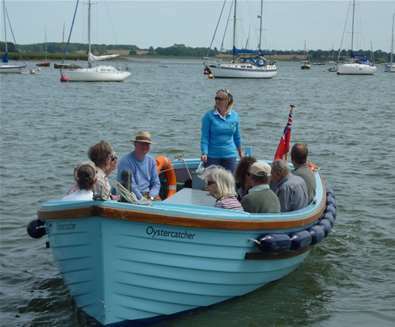 Coastal Voyager is the perfect activity for all ages ranging from families with children to work groups. 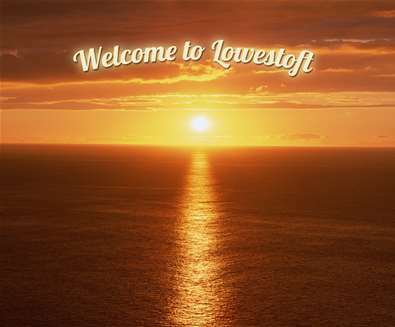 Come to Lowestoft for a great day out, short break or family holiday. 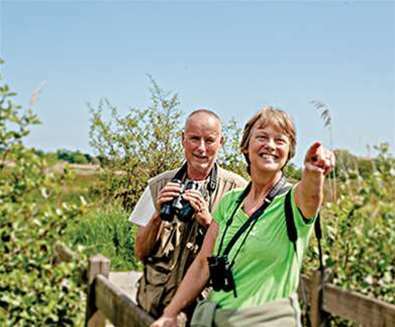 The Blyth Valley runs 17 miles inland from the coast at Southwold to Laxfield via Halesworth and Huntingfield and is a superb destination for walking, cycling & wildlife-watching as well as being known for its welcoming pubs and local produce! 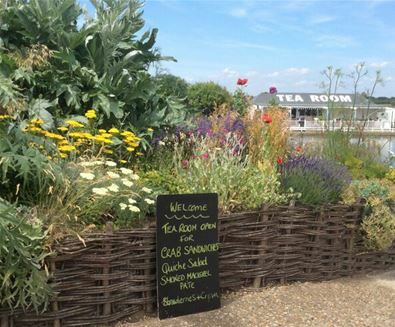 So much more than glorious cream teas and freshly baked cakes and pastries, tasty breakfasts, lunches and homemade snacks - Southwold Boating Lake and Tearoom is one of the gems of Southwold. Aldeburgh Cinema offers the very best in world and mainstream cinema. 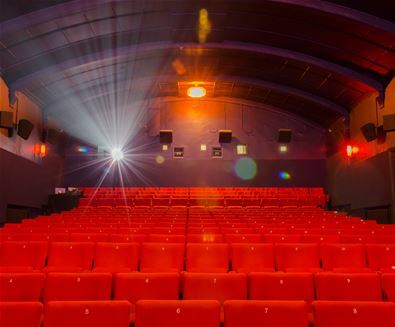 At the heart of the local community since 1919 and home of the Aldeburgh Documentary Festival, Aldeburgh Cinema is a local treasure. 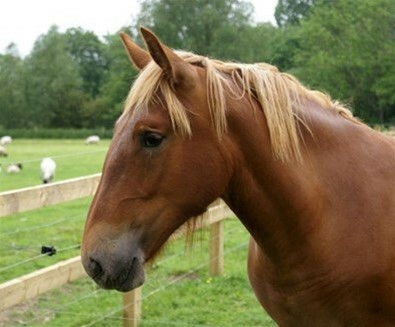 The Suffolk Punch Trust is an educational and environmental charity dedicated to breeding and preserving the Suffolk Punch horse. Check the website for times of Milling Demonstrations and Wheel-Turnings. 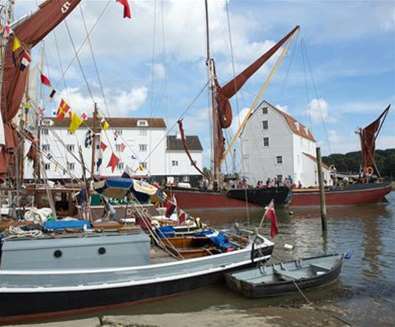 The Tide Mill has stood on the banks of the River Deben for over 800 years. Fun family day out on the farm. 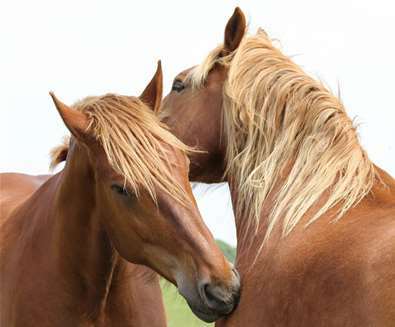 Home to plenty of farm animals, including a new contingent of ducklings, lambs, foals, chicks, piglets and calves every spring, Easton Farm Park never ceases to be a popular day out for families and school trips. 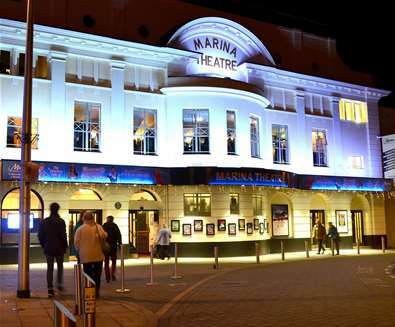 It plays host to major West End productions, top comedy, orchestral concerts, touring drama and musical productions, opera, ballet, music, dance and celebrity concerts as well as operating a successful cinema operation - boasting the largest screen and cinema auditoria in the town. 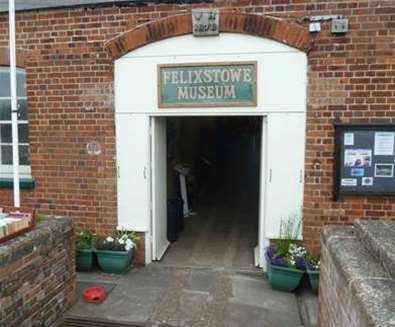 Explore the fascinating artefacts and collections of Felixstowe Museum, which brings alive the military and social history of this seaside town. Everybody loves a great day by the sea, and Felixstowe has great days for everyone. 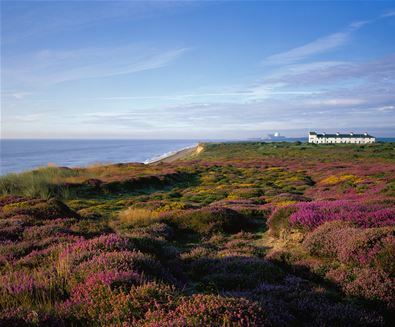 The Suffolk Coast & Heaths Area of Outstanding Natural Beauty (AONB) is a stunning landscape packed full with wildlife and exciting places to explore and discover. 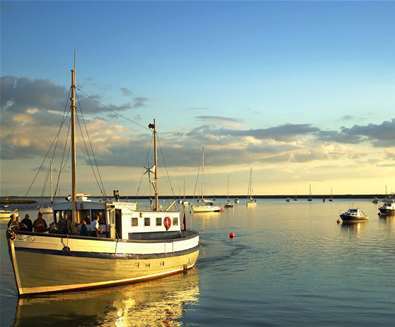 There's something for everyone with 155 square miles of tranquil and unspoilt landscape including wildlife-rich estuaries, ancient heaths, windswept shingle beaches and historic towns and villages.